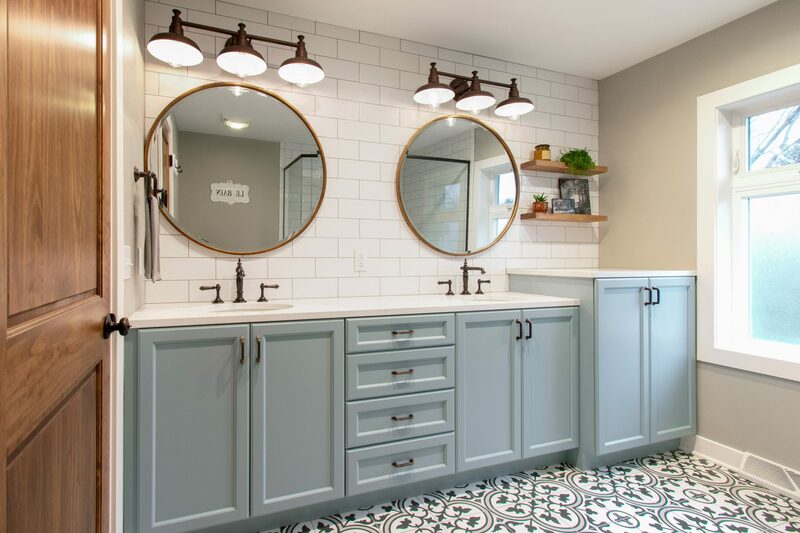 A Brookfield master bathroom was in desperate need of a makeover. The bathroom was dated with vinyl flooring, a claustrophobic stand-up shower and a tub that wasn’t used. 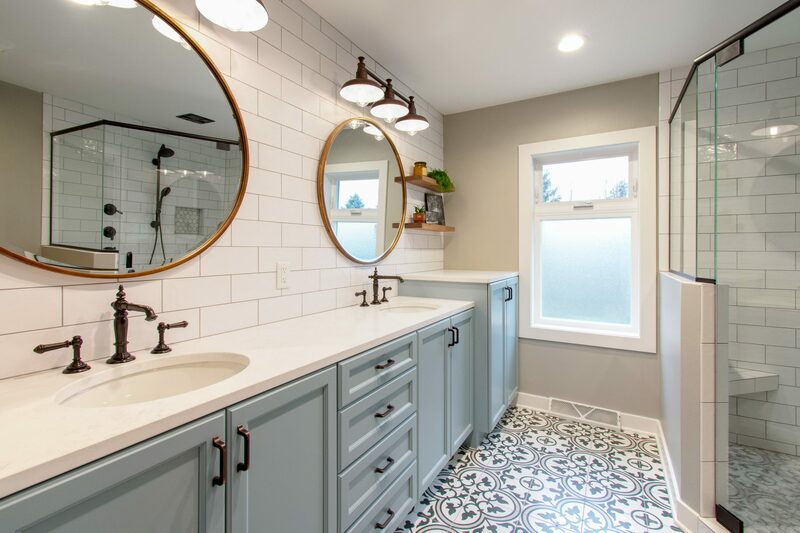 Kowalske Kitchen & Bath designed this bathroom with two main goals – give the couple a spacious walk-in shower and give them a bold, fun design. The design is stunning and on-trend. The highlight of the space is the patterned floor and aqua blue cabinetry. The new vanity spans the entire wall, giving them additional storage space. 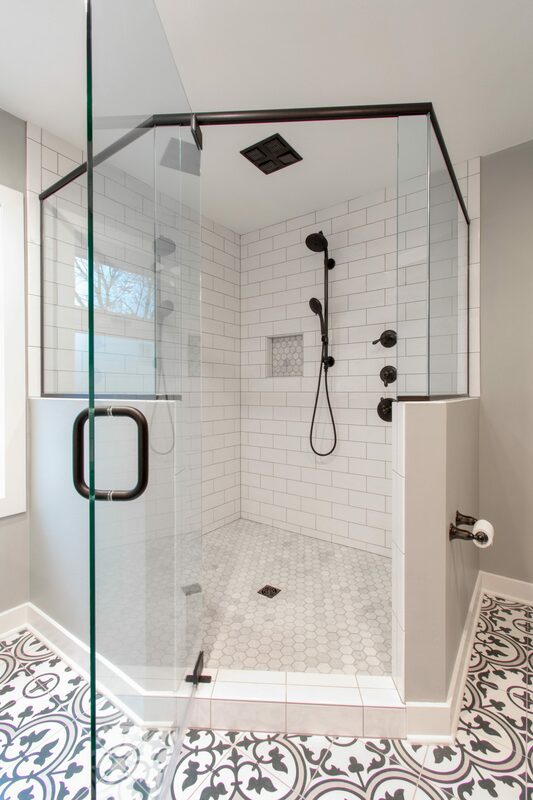 The glass shower features subway tile walls and hexagon carrara marble floor tile. The room is completed with Kohler fixtures, oil rubbed bronze lighting and hardware, open shelving and antique gold mirrors.